Join us on May 11th for the 25th Annual Peeper 5k! The race features a paved course with turnaround, mostly flat with some hills in a relaxed country setting. Runners gather at the Barrington Elementary School Field at 570 Calef Hwy in Barrington, NH. 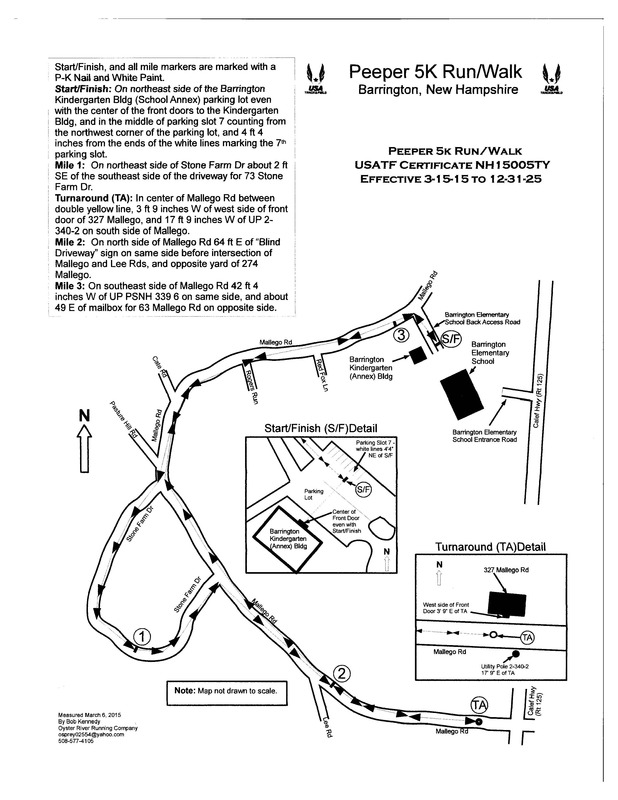 This USAT&F sanctioned race #NH15005TY, begins promptly at 9 a.m. Parking is located at the Barrington Elementary School. Bicycles, roller blades and dogs are not allowed in the race. Awards ceremony with refreshments and raffle following the race. Hospitality tent with free drinks, fruit, and assorted homemade goodies! Sign up by March 31st to save on your registration fee!